Recently SA’s credit rating was downgraded by two rating agencies. MDA Director, Chris Bennett, talks to eNCA correspondent Duduzile Ramela, about the possible impact on the construction industry. Why are so many construction contracts in SA over budget, late and being carried out at the expense of good relationships between the parties? Ian Massey, MDA Director, believes that polarisation in the construction industry is at the root of the problem. FIDIC contract documents are under development by the International Federation of Consulting Engineers to significantly reduce uncertainty for construction contractors and employers. The FIDIC suite of construction contracts is commonly used in South Africa particularly the Red Book adapted versions used by SANRAL and ESKOM. Sixty years after the first contract document was published by FIDIC (the Red Book), the rainbow suite of standard construction contracts is due to be published in 2017. A revised version of the Contract for Dredging and Reclamation and the White Book (the Model Services Agreement) will also be published shortly. A completely new contract document has also been drafted specifically for tunnelling and underground works. Called the Emerald Book, this should be ready for publication in 2018 according to Ian Massey, director at MDA Attorneys, who has recently returned from the FIDIC International Contract Users Conference held in London. He says that one of the most significant changes in the rainbow suite of contracts is the adoption of standing adjudication boards to be appointed at the outset of a contract. “The new contracts seek to anticipate and avoid disputes, which ad hoc adjudication provisions in current contracts (such as in the current version of the FIDIC Yellow book) have not been able to do,” he says. Time bars have also been revisited. A further time bar on the submission of a contractor’s detailed claim and on employer claims will now apply. However, adjudication boards now have the ability to review certain of these time bars. “The changes were made to clarify the requirements of the contract and thus make it easier to use, but delegates at the London conference were concerned the contracts would be more complicated and difficult to understand. Our experience at MDA Consulting is that long and complicated contract clauses are unlikely to be understood. In our view, it is doubtful whether the changes to the FIDIC Rainbow suite will to promote conflict free contracts but we look forward to the release of the final versions which we intend to unpack at the our annual Collective Wisdom Conference later this year,” says Massey. For interviews, photographs or further information, please contact Despina Harito at Turquoise PR & Marketing Communications despina@turquoisepr.co.za or 011 452 1840 / 084 453 1755. 7th October 2016: Arbitrations and adjudications are on the rise in the construction industry as companies face headwinds in the domestic market, according to Euan Massey, director at MDA Attorneys. In addition to market pressures, there is likely to be increased demand for trained adjudicators as a result of the implementation of the Construction Industry Development Board’s (cidb) proposed Prompt Payment Regulations and Adjudication Standard for contracts. It introduces a mandatory form of adjudication for the construction industry. Massey says that adjudication has been implemented by the South African construction industry as the preferred dispute resolution procedure. “MDA Attorneys recently analysed the adjudications in its firm and found that most disputes handled were between contractors and employers. This may be because subcontractors and contractors tend to resolve disputes without reference to formal dispute resolution mechanisms,” he says. The ability to meet the anticipated rise in construction adjudication relies on having competent and qualified adjudicators to rule on disputes in the construction sector. MDA Attorney director Vaughan Hattingh, together with Professor Maritz (head of the department of Construction Economics at the University of Pretoria) has designed, developed and facilitated the Certificate Programme in Construction Adjudication presented by Enterprises at the University of Pretoria. This certificate programme, going into its fifth year, produces skilled qualified adjudicators into the South African construction industry. Bryan Westcott, a construction manager and practicing adjudicator who completed the course, says that the programme is specifically designed for both construction and legal professionals who have experience in the construction industry. “The course gave me valuable insight into how lawyers think, which has stood me in good stead as a mediator and adjudicator. The class interaction and debates were brilliant, as we had highly experienced lecturers and a group of students who were a mix of legal professionals and construction experts,” he says. The programme is presented in monthly modules over a year. Applications are being accepted for 2017. More information can be obtained from marie.vanniekerk@enterprisesup.ac.za or 012 434 2640. Construction industry legal experts from both South Africa and the UK warned that payment security legislation is necessary if the issue of poor payment in the construction industry is to change. Speaking at the recent MDA Collective Wisdom lecture in Johannesburg, they also underscored the importance of adequate training for adjudicators and shared examples of ways to resolve delay and disruption of major infrastructure projects. Euan Massey, MDA director, said that only 42% of contractors are paid on time (within 30 days) and this has been declining for the past two years. “But this is not limited to government clients. In the private sector, only 41% paid contractors on time, according to the Construction Industry Development Board’s (cidb) industry statistics published in 2015,” he said. Justice Robert Nugent, a former Supreme Court of Appeals judge and arbitrator, outlined the benefits of arbitration and adjudication as dispute resolution mechanisms. “Principles are easy to express but their difficulty comes in their application. Natural law is really about common sense but make no mistake, the decision about how to apply the rules will always require judgment,” he said, underscoring the importance of decisiveness for arbitrators. In adjudication, there are very few cases where legal representation is required. “This is because you are dealing with factual issues, not legal issues. Perhaps the greatest test of the application rules is transparency,” he stated. Dr John Fletcher, group director for the Royal Institution of Chartered Surveyors (RICS), referred to a unique scheme developed and run by the four major project delivery partners on the London Underground extension and Crossrail projects. The scheme involved dispute boards and various bespoke methods and was aimed expressly at dispute avoidance. “We have been running this mechanism for 14 months now and disputes run through the system are already at about £615 million. To date, we have resolved 18 matters which has avoided them going into arbitration. It is altogether likely that the amount of disputes being kept out of the system through the mechanism is over £2.5 billion. The cost of disputes should not only be measured in monetary value, but also in delays and immeasurable harm to relationships and brands,” he said. A panel discussion at the end of the Collective Wisdom lecture touched on various issues, including the delay in gazetting the cidb Prompt Payment Regulations. They were tabled and released for public comment in May this year by the Construction Industry Development Board (cidb). Until they are formally adopted, Burr advised SA practitioners to incorporate the provisions contractually. The importance of mediation was highlighted by the panel, as was the importance of a solid skill foundation, regardless of whether the representatives were legal or technical experts. For interviews, photographs or further information, please contact Despina Harito at Turquoise PR & Marketing Communications on despina@turquoisepr.co.za or 011 452 1840 / 084 453 1755. Costs on mining projects can be reduced by using standard legal contracts instead of drafting tailored contracts per project, according to Ian Massey, director of MDA Attorneys. “While there are certain differences between mining contracts and those used in the building and construction sector, a bespoke mining contract document is seldom necessary as standard contracts cover most considerations,” he says. The major difference between a mining contract and a construction contract is how the contractor gets paid for his services. “This difference does not warrant the drawing up of a completely bespoke contract because standard forms of contract recognise payment risk and allow different payment options so that the agreement can be adapted to suit the risk appetite of the employer. Often, this is the starting point from which the employer’s implementation strategy for the project is launched,” explains Massey. A further benefit of using standard form contracts is that they have been drawn up by internationally acclaimed experts. They are tried and tested and there is precedent from various legal actions around the world to assist in their interpretation and application. They are respected and imbue confidence, which can even lead to reduced prices. On construction contracts, payment to the contractor is measured relative to the progress of his work – in meters of concrete poured, square meters of bricks laid and so forth. Mining contracts, on the other hand, often have different imperatives. To mitigate costs, it invariably suits the employer to provide some or all of the plant to be used for mining operations and the spares to be used in servicing the plant. Similarly, tyres for very large earthmoving equipment are a major expense. These too are often provided by the employer to the mining contractor. So the challenge is, how should the contractor be paid for operating and maintaining the employer’s fleet and how should he be rewarded and/or penalised if he doesn’t operate and service the plant properly and incurs excessive costs? “A standard form contract, using specially drafted particular conditions, can include addendums to deal with the method of payment risk. But we always recommend avoiding an adversarial approach, which sadly is on the rise in South Africa. 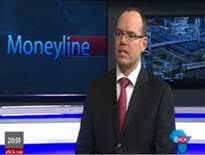 We believe that on mining contracts, a collaborative approach is not just beneficial, it is a necessity,” says Massey. Mechanisms to allocate and manage risks need to be included into the contract form. Risks could include escalation, forex fluctuation and market influences on commodity demand and prices. “The reliability and performance of the contractor is also a significant risk, which can be managed either by a pre-qualification process or via adjudication criteria stipulated in the enquiry document. Another risk lies in the geotechnical information – there needs to be a high level of confidence as this determines the type of mining operation and the process which will be adopted to extract the ore. Stories of overstated reserves and failed process plants must be avoided by thorough investigative work,” warns Massey. If there is a conflict, there are traditional dispute resolution techniques ranging from executive tribunals through to arbitration and litigation. The success of these techniques depends largely on the people involved and the circumstances under which the work is being carried out, but mining contract disputes have been known to drag out for long periods of times. “Adjudication has demonstrated impressive results and has now been adopted as a means of resolving construction disputes in South Africa. It will shortly be Gazetted as a statutory requirement under the Amendment to the CIDB Act, which is expected to be promulgated in the first quarter of 2016,” he says. Project launch workshops facilitated by MDA can identify risk and devise appropriate risk responses. Communication channels and the collection of information and data and the meaningful storage and access to records can also be arranged. The choice of candidates for the role of adjudicator and the procedures to be followed are also included in MDA’s suite of services. For further information, please contact Despina Harito, Turquoise PR & Marketing Communications on despina@turquoisepr.co.za or 011 452 1840 / 084 453 1755. As bankruptcies of contractors in the construction industry rise at a rate of five liquidations a month, contractors and sub-contractors are warned that payments can be clawed back from them if their contracting counter-party winds up in liquidation. In addition, upfront payments to a contractor before the commencement of a project may be viewed by a liquidator as a payments made when the employer was in fact insolvent ( de facto insolvent), which would allow the liquidator to unwind that upfront payment. “The bottom line is that you need to be very careful with whom you choose to contract. Ensure that the business or individual is financially stable enough to fund the project, or has backing from a financial institution.”. Section 29 of the Insolvency Act deals with situations when payments are made prior to insolvency. Section 30 allows liquidators to reverse the transaction via the courts. “So, it is a reality that funds can be demanded from you by a liquidator where your contracting counterparty winds up in liquidation after having made payment,” she says. A video of Taryn Van Deventer discussing this topic is available here. Statutory adjudication will be introduced shortly to South Africa but there are insufficient adjudicators to meet the anticipated demand. The cidb Prompt Payment Regulations and Adjudication Standard is a framework within which parties to a construction contract are given the right to refer disputes to adjudication. Expected to be implemented within the first quarter of this year, the regulations will introduce a mandatory statutory form of adjudication as a fair, rapid and inexpensive mechanism for resolving disputes in both the public and private sectors to increase cash flow in the construction industry. The regulations are presently being reviewed by the Department of Public Works and Treasury for conflict with existing legislation. Enforcement of the adjudicator’s decision is also critical to the success of the prompt payment regulations. “For several years, South African courts have supported the adjudication procedure by implementing a robust approach in enforcing adjudicators’ decisions repeatedly; by determining that adjudicators’ decisions are enforceable as a matter of contractual obligation and by acknowledging that furnishing notice of dissatisfaction does not prevent enforcement. Parties are required to comply with and promptly implement the adjudicator’s decision,” he says. The shortage underscores the need for adjudicator training. A one-year certificate programme which trains prospective adjudicators was introduced by the University of Pretoria in partnership with MDA Consulting and is now in its fourth year. To date, it has produced approximately 70 qualified adjudicators for the construction industry. Although there are other introductory programmes available, this is the only comprehensive programme that aims to train adjudicators and practitioners. To further develop adjudication skills, the Construction Adjudication Association of South Africa (CAASA) provides a platform for discussing adjudication issues within the SA construction industry. A video of Euan Massey discussing this topic is available here. For interviews, photographs or further information, please contact Michelle K Blumenau at Turquoise PR & Marketing Communications michelle@turquoisepr.co.za or 011 728 5004 / 083 273 9891. Ian Massey, director at MDA Attorneys, says that there are four ways to ensure the satisfactory outcome of any construction contract. With over 18 years of contracting construction experience and nearly 30 years commercial consulting experience, Ian has worked with some of South Africa’s largest contractors and employers in the building, construction, engineering and mining industries. You need to communicate, plan, give notice and keep good records. It sounds simple enough, but Massey explains that communication starts with a competent contract document including the specification for the work. Planning is often taken for granted, but Massey explains that usually when a contract gets into trouble, the litmus test is if the planning has been done properly. Notices are important in situations when events and circumstances increase the cost or the time frame of doing the work. In such cases, the contractor has to provide notices to enable the employer and professionals to mitigate the effects of the events that are causing the problem. Issues that arise are varied but can include scope creep or community unrest and strikes. Finally, the contractor must keep records of these events to substantiate and prove his entitlement to more time and more money. Massey says that what parties often overlook is that the management of any construction contract is the management of risk. “It is not unusual to find that issues which were not even considered at the outset of the project as a potential risk suddenly become the most frequently encountered event. The apportionment of the risk between the parties to a contract (the employer and the contractor) is set out in the form of contract used to regulate the relationship between employer and contractor. Placing too much risk on a contractor is unwise and will inevitably lead to conflict,” he says. Over the past two decades, South Africa’s standard forms of contract have been undergoing change. The form of contract used for the project will determine how each of these four key activities is required to be carried out. The new contract GCC 2015 has also taken on board certain of the anticipated requirements of the proposed amendments to the CIDB Act, such as the facility to suspend the work in the event of non payment. MDA Consulting is presenting a GCC 2010 master class in Johannesburg 2 – 3 March and in Durban on 9 – 10 March. The master class will include a presentation and discussion on the rationale behind the changes in GCC 2015 compared to the previous iteration published in 2010. New proposed regulations governing payments and dispute management under construction works contracts are expected to profoundly change the way the South African construction industry operates. The Construction Industry Development Board (cidb) Prompt Payment Regulations and Adjudication Standard appeared on Friday 29 May 2015 in the Government Gazette Notice 482 of 2015 and are open for public comment for the next 60 days. These regulations address a crippling constraint to effective infrastructure development by introducing processes to ensure the life blood of the industry, cash flow, actually flows. They legislate a standard set of payment provisions and introduce adjudication as a mandatory first step for resolution of disputes in both the public and private sectors. Home building contracts, as contemplated by the Housing Consumer Protection Act 1998 (Act No. 95 of 1998), are however excluded from application of the regulations. Similar security for payment regulations have been introduced by statutory intervention in the United Kingdom, Singapore, Hong Kong, New Zealand Australia and most recently Malaysia. This statutory intervention was necessary to overcome problems related to non-payment of contractors and sub-contractors in the building and civil engineering industries. Wherever these regulations have been applied internationally, they have made a fundamental difference by freeing up cash flow – the life blood of the industry. Massey explains that enforcement of the adjudicator’s decision is critical to the success of the prompt payment regulations in realising the primary objective of freeing up cash flow. “For several years, South African courts have supported the adjudication procedure by implementing a robust approach in enforcing adjudicators’ decisions repeatedly; determining that adjudicators’ decisions are enforceable as a matter of contractual obligation and that furnishing notice of dissatisfaction does not prevent enforcement. Parties are required to comply with and promptly implement the adjudicator’s decision. In this way, disputes will be dealt with cost effectively and expeditiously,” he says. Hattingh has together with Professor Maritz, head of the department of Construction Economics at the University of Pretoria designed, developed and currently facilitates the Certificate Programme in Construction Adjudication presented by the Centre for Continuing Education at the University of Pretoria. This certificate programme, now in its third year, will continue to produce skilled qualified adjudicators into the South African construction industry. Chronic problems of delayed payment in the construction industry with many organs of state failing to adhere to the PFMA / MFMA. There are no consequences for failure to comply. In an extensive survey of almost 900 construction projects, 43% of payments to contractors were made more than 30 days after invoicing. introduce a mandatory statutory form of adjudication which is a fair, rapid and inexpensive mechanism for resolving disputes. For interviews, photographs or further information, please contact Michelle K Blumenau at Turquoise PR & Marketing Communicationsmichelle@turquoisepr.co.za or 011 728 5004 / 083 273 9891. Prof Rajoo is an expert on the Malaysian equivalent of the cidb Prompt Payment Regulations, the Construction Industry Payment and Adjudication Act (CIPAA) which was adopted in 2012 and implemented just over a year ago. The proposed guidelines have been under development in South Africa since 2013. They were tabled by the Construction Industry Development Board (cidb) and released for public comment in May this year. The regulations are likely to be implemented by year end. In just over a year since the implementation of CIPAA in Malaysia, the number of matters registered has more than tripled. Of these, most were settled in considerably less time. The majority of claimants were contractors and subcontractors, while respondents are mostly main contractors and employers. The most common types of adjudication disputes involve final accounts, interim payments and payment of professional fees. Vaughan Hattingh, director and adjudication practitioner with MDA Consulting, says there are many lessons from Malaysia as well as the UK, Singapore and Hong Kong, that can be applied in South Africa. “The SA regulations are well crafted and the development of alternative dispute resolution will assist the construction industry to grow by providing binding guiding principles accepted by individuals, corporations and state owned entities,” he said. Prof Rajoo advised South Africa to focus on the competence of adjudicators and ensure that strict timelines provided in the regulations are adhered to. “Adjudication is quick and rough justice. Ideally you need construction professionals heavily represented on the panel of adjudicators, not just legal practitioners,” he said. Hattingh was involved in the development of the course and course material for a certificate programme in Construction Adjudication at the Centre for Continuing Education at the University of Pretoria. Industry, legal practitioners and especially contractors and subcontractors have welcomed adjudication as an effective means of resolving payment disputes in Malaysia. “The aggrieved parties have embraced the flow of money in the construction industry and this is expected to increase as awareness of this new right to recourse grows,” commented Prof Rajoo. For interviews, photographs or further information, please contact Michelle K Blumenau at Turquoise PR & Marketing Communications onmichelle@turquoisepr.co.za or 011 728 5004 / 083 273 9891. MDA Consulting is a specialist commercial advisory practice in the construction environment. Its services include legal advisory solutions to contracting organisations including infrastructure, mining, petrochemical, water processing, energy and engineering sectors within southern Africa and internationally. MDA Consulting also offers commercial training, dispute management and resolution and contract documentation support. The Construction Industry Development Board (cidb) Prompt Payment Regulations are expected to profoundly impact the construction industry. Vaughan Hattingh and Euan Massey, both qualified attorneys are specialist adjudication practitioners who have extensive experience in the construction industry, hold post graduate certification in construction adjudication and Msc degrees in Construction Law and Dispute Resolution from Kings College, London are available for interviews or to meet you and unpack the issues in the release below. Wednesday, 21 October 2015: There is likely to be increased demand for trained adjudicators as a result of the implementation of Construction Industry Development Board’s (cidb) proposed Prompt Payment Regulations and Adjudication Standard for contracts in both the public and private sectors. Expected to be implemented shortly, the legislation introduces a mandatory statutory form of adjudication as a fair, rapid and inexpensive mechanism for resolving disputes to increase cash flow in the industry. Vaughan Hattingh, director and adjudication practitioner with MDA Consulting (Pty) Ltd, says that adjudication has been implemented by the South African construction industry for many years as the preferred dispute resolution procedure. He explains that enforcement of the adjudicator’s decision is critical to the success of the prompt payment regulations. “For several years, South African courts have supported the adjudication procedure by implementing a robust approach in enforcing adjudicators’ decisions repeatedly; by determining that adjudicators’ decisions are enforceable as a matter of contractual obligation and by acknowledging that furnishing notice of dissatisfaction does not prevent enforcement. Parties are required to comply with and promptly implement the adjudicator’s decision,” he says. One of the success factors is competent and qualified adjudicators to rule on disputes in this sector. Hattingh, together with Professor Maritz (head of the department of Construction Economics at the University of Pretoria) has designed, developed and facilitate the Certificate Programme in Construction Adjudication presented by the Centre for Continuing Education at the University of Pretoria. This certificate programme, going into its fourth year, continues to produce skilled qualified adjudicators into the South African construction industry. The programme is specifically designed for both construction and legal professionals who have experience in the construction industry and currently advise, assist or represent parties to construction adjudications and construction disputes, practice or intend practicing as adjudicators or have a particular interest in construction law, claims and contracts. The course is presented in monthly modules over a year. Applications are being accepted for 2016. More information on info@ce.up.ac.za or 012 434 2500. MDA Consulting (Pty) Ltd is a specialist commercial advisory practice supporting the infrastructure development, mining, petrochemical, energy and engineering sectors within Africa and internationally. MDA’s suite of services include: legal advisory, commercial support, dispute management and resolution, contract document drafting and training.